Microsoft recently unveiled the Lumia 640 Windows Phone at this year’s MWC. This mid-range smartphone has now landed in the Indian market, available on various online and offline stores for a market operating price of Rs 11,999. The Lumia 640 comes as the successor to the Lumia 630 and 635 smartphones. At MWC, the company announced two variants of the Lumia 640 – dual-SIM with 3G and 4G LTE models. As of now only the 3G variant of the phone has reached Indian shores. However, as the brand recently announced to launch more 4G LTE devices in India, the Lumia 640 4G LTE is expected to land in the country very soon. If you are eye-balling the Microsoft Lumia 640, here’s everything you need to know about the affordable mid-range Windows Phone. 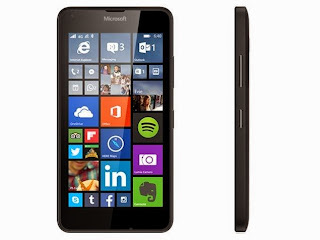 The Microsoft Lumia 640 is built on the same design philosophy as its predecessors. The phone offers a polycarbonate body, and comes in the usual range of Lumia colours like cyan, black, white, and orange. The phone weighs just 145 grams and measures 8.8mm around the waist. Coming to the display, the Lumia 640 sports a 5-inch HD display, resulting into a pixel density of 294ppi. The screen has a layer of third-gen Corning Gorilla Glass for protection against scratches. The Lumia 640’s processor is the Qualcomm Snapdragon 400 Soc with a quad-core CPU clocked at 1.2GHz. The performance is further enhanced by 1GB of RAM and an Adreno 305 graphics processing unit. The device offers 8GB of internal memory, which is further expandable up to 128GB via a microSD card. Overall, the phone offers decent configuration at a nominal price. For primary imaging, the Microsoft Lumia 640 sports an 8MP autofocus shooter at the rear with an LED flash, f/1.4 aperture. The rear camera is capable of recording full HD videos at 30 frames per second. For self-portraits, the Lumia 640 has a 1MP secondary snapper with HD video recording capability. The phone’s camera app is loaded with various software tweaks like Rich Capture and Dynamic Flash. The Lumia 640 runs Windows Phone 8.1 operating system with the Lumia Denim update. The phone comes with a Glance Screen feature, which shows information on the lockscreen, and Cortana voice-assistant. It comes pre-loaded with various apps like HERE Maps, HERE Drivers+, Office 365, OneDrive, and more. Also, the Lumia 640 will be upgraded to Windows 10 as soon as it commercially rolls out later this year. In terms of connectivity, the Lumia 640 offers dual-SIM slots, 3G, Wi-Fi, Bluetooth 4.0, and GPS. The phone is powered by a 2,500mAh battery, which is rated to deliver up to 26.5 hours of talk time and up to 864 hours of standby time on 2G networks. The figure goes down to 17.5 hours of calling time on 3G networks. Overall, the Lumia 640 delivers solid battery backup for long lasting usage. The Microsoft Lumia 640 is among the best mid-range Lumia phones in the market in its price range. The phone offers immersive media experience with a 5-inch HD display, superb performance with a quad-core CPU & and a solid battery, with decent camera features. Priced at Rs 11,999, the Lumia 640 is being exclusively offered on Flipkart. The brand is bundling it with a one year subscription of Office 365, 1TB free storage on OneDrive, and a handful of other offers. There is another enhanced version for the mobile available, Lumia 640 XL, which offers a 5.7-inch display, a 3,000mAh battery, and 13MP/5MP cameras, priced at Rs 15,799. Author: The article has been written by Kundan Srivastava, who is passionate about technology. He's working at 91mobiles.com and writes about the latest in the tech domain, right from devices to innovations.